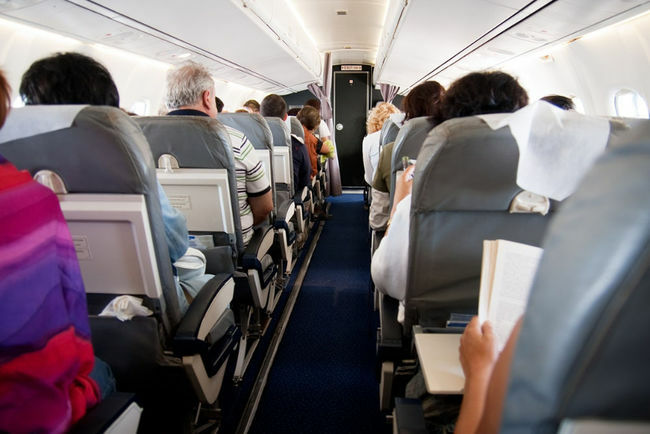 Traveling through airplane, or even a bus, can be both mentally and physically exhausting and those who’ve traveled before have surely experienced some form of physical pain or discomfort. Over the years, traveling has become more and more painful. In order to compensate for the larger quantity of people using airplanes or buses, the leg room has shrunk and the majority of seats have had the cushion removed to free up more space. Typically, the cushion of a seat serves to absorb shock before it transmits into the spine from the molded plastic seat but, with its absence, the spine is forced into an uncomfortable posture for extended periods of time that most frequently cause back or neck pain. Sitting on a jacket or asking a flight attendant for a blanket to use as a cushion is a quick fix to provide some support to your spine while on your awaited vacation trip. Furthermore, choosing the aisle seats can provide more room to stretch out. These will also allow you to get up more frequently to stretch out and walk around without disturbing the sleeping person sitting next to you. When taking a long flight on an airplane or drive on a bus, the C-shaped neck pillows available on the market can be a valuable purchase. Attempting to sleep while on a seated position can be challenging where the lack of a proper neck support can cause neck pain and discomfort. Using these types of pillows while on an airplane flight or bus drive simply allows your head to rest. If you end up in a window seat, the C-shaped neck pillows can be packed against the window to prevent your head from resting against the uncomfortable window frame. Airports also usually include long walks while pulling heavy luggage behind you. Before the long trip, its important to take precautions when lifting or yanking luggage out of a vehicle as well as being careful when constantly switching it from side to side to prevent pain and injury. Packing light while on a trip is a good way to ultimately decrease the chance of a luggage injury.